Thank you very much for coming to speak to the Climate Coalition last Thursday. As you know, people were very engaged. We agree with you that that many of these streets do have problems with waste management and that a move to a simpler system may help. 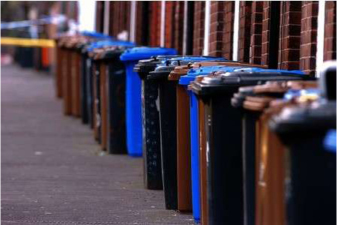 The Council wants to take away your and your neighbours’ recycling bins. You’d then have to put all your waste in your black bin. This would be collected weekly.